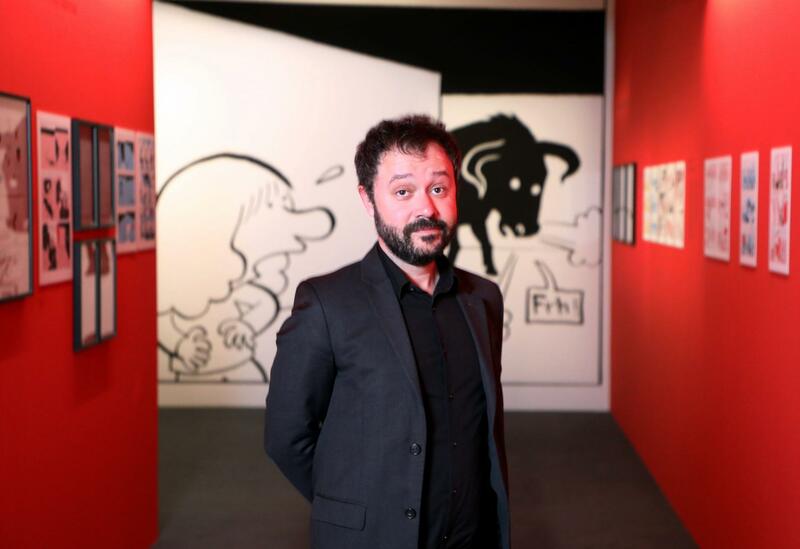 The Centre Pompidou’s public library is hosting Riad Sattouf’s artwork until March 11th. The comic strip author has been multiplying projects and successes for almost 20 years but has always refused to exhibit in galleries, considering paper as the only support of the “9th Art”. What else better than a public library to discover the artist’s universe, where the pictorial and the text are always serving a precise narration. The concept of “drawn writing” is the thematic of the exhibition as the author is telling stories as it was a movie, the drawing and the text replacing the picture and the sub-titles. 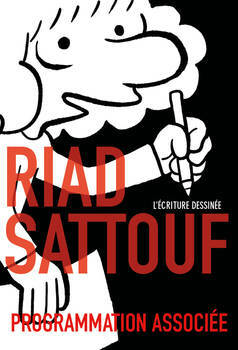 Riad Sattouf : The drawed writing. Credits : Pompidou Center. His biggest success, “The Arab from the future”, perfectly illustrates his style. Mostly based on the author’s memory, the autobiographic series depicts the author childhood. On one side, the drawing, sensitive and sometime flawed, features intimate people and places from his childhood. Color is used as a code to help the readers: blue for France, yellow for Lybia, pink for Syria, green for Guernsey and red for your imagination. On the other side, the text is here to puzzlingly and precisely describing facts, anecdotes or thoughts. Sketch – The Arab from the future #1 – Riad Sattouf. The exhibition is split in three main parts and is centered around that connection between drawing and literature. It highlights how artistic the author’s approach is, and how it is fueled by his personal and sensible interpretation of the real world.